Sugar in crisis? is revenue sharing ratio the answer? The industry’s predicament is best illustrated by more than one forecast that a further nine cash-strapped factories in the country’s principal south central cane growing centre are likely to stop crushing this year on top of closure of 11 units in 2014. 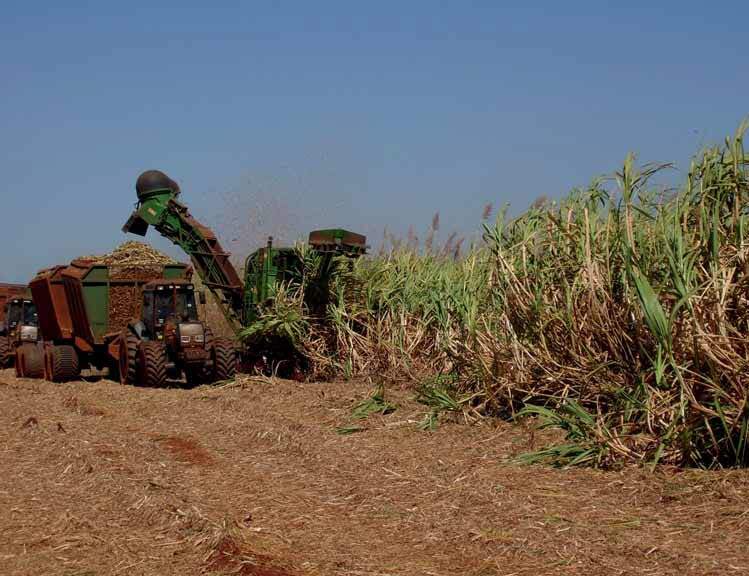 What is particularly disturbing for the Brazilian sugar economy is that short-of-funds factories and big growers are cutting back on cane plantings and also saving on fertilizer use that invariably results in lower-than-normal sugar recovery from cane. Unica says between March and November, the area under cane plantation shrank by nearly 15% on a year-on-year basis. No wonder Unica is braced for a near 7% drop in sugar production to 31.9 mt (million tonnes) this year. Brazilian sugar production will, however, finally depend on how much cane factories retain for making the sweetener. Rating agencies like Fitch Ratings have put a number of Brazilian sugar groups on ‘negative watch.’ The only redeeming feature in an otherwise depressing near and medium-term outlook for sugar is the softness of Brazilian real vis-a`-vis the US dollar. This will come to the aid of exports. In view of expected production setback, the US Department of Agriculture (USDA) has cut its estimate for Brazilian exports for this year by 1.2mt to a six-year low of 24mt. Both Bajaj Hindustan, Asia’s largest sugar producer and once the blue chip Balrampur Chini rapidly grew cane crushing capacity in the past using both brownfield and greenfield routes hoping that at some point New Delhi and governments in cane growing states would come up with a basket of policies rewarding 50 million growers and over 500 operating factories. The self-proclaimed reforms-oriented government headed by Narendra Modi offered some policy support in June by way of raising import duty on sugar, restoring export incentive and offering interest free loans to the beleaguered industry to clear cane dues. But the industry’s hope that New Delhi will sanction linkage between sugar and cane prices and not let the cane growing states to go on arbitrarily decide cane prices remains unfulfilled, says Dhanuka. A committee headed by eminent economist and former governor of the Reserve Bank of India C. Rangarajan has said salvation of the steadily deteriorating industry lies in a formula under which revenue from sale of sugar and its by-products like ethanol and power is shared between cane growers and factories in 75:25 ratio. What, however, calls for pondering is at current ex-factory prices of sugar, the recommended price sharing formula will leave both constituents high and dry. This then raises the issue of government intervention by way of compensating farmers to the extent that price sharing in difficult years doesn’t cover cane growing costs plus fair margin for growers. In this context, the Thai model of administering price sharing calls for New Delhi’s consideration. Thailand is incidentally the world’s second-largest exporter of sugar. As if bumper sugar production four years in a row resulting in 2014/15 season opening with overflowing stocks of 7.5mt was not enough of a bearish influence, India will be the only exception among major producing countries to lift output from last year’s 24.3mt to 25.5mt or more this time, according to Dhanuka. Intense liquidity crunch resulting from factories not able to recover cane cost from sugar sale is forcing them to sell forward to international traders at “cheaper rates... Exports haven’t yet started. It’s an unviable situation,” says Indian Sugar Mills Association president A.Vellayan. “No wonder as the government is taking an unconscionably long time seeking clarity on sugar stocks and production outlook in the current season, export incentive has remained suspended since October. Overselling by mills in the domestic market and no export shipments happening in the absence of incentive have caused sugar price collapse without the bottom still to be found” says Dhanuka. USDA’s Beijing bureau says Chinese sugar production will be down by about 1mt to 13.3mt. Reasons cited for production setback are lower sugar prices causing “returns on cane to fall below competing crops like fruits and cassava and damages earlier caused to cane plantings by “less-than-ideal weather and some typhoon damage” in China’s south eastern growing centres. Interestingly even while Chinese sugar use is forecast to rise 4%, the country, according to USDA, may end up importing 3.8mt down 300,000 tonnes year-on-year and the lowest since 2010/11. China has enormous stocks of sugar and by drawing from the inventory, it is going to keep imports in check. The country has decided to maintain the more than a decade-old annual low-tariff sugar import quota at 1.95mt in the current year. Chinese factories are lobbying the government hard for raising the out-of-quota tariff to 60% from the current 50%. Dry weather is to limit Thailand’s sugar production in 2014/15 to 10mt to 10.2mt. Even then,Thai export shipments are set to rise 200,000 tonnes to 8.5mt. This is to happen in response to “high Asian demand, particularly from Indonesia and Cambodia” requiring the Thai industry to tap the inventory built from earlier years’ production. Beet sugar production in European Union, where the industry is transiting through a painful restructuring ahead of dismantling of production quotas in 2017, is forecast to rise 12% to 18.6mt in the current season. But the International Sugar Organization (ISO) is anticipating “a significant retreat in sugar output” for the European Union during 2015/16. Australia, expecting sugar production of 4.6mt, is to raise exports by 6% to 3.3mt. Higher exports will more than compensate the Australian industry of falls in sweetener price. Next season, however, it will have to contend with forecasts of below average rainfall and more ominously with El Nin~o. The current season will be the fifth in a row when sugar production will be in excess of demand. Global surplus estimates vary from 473,000 tonnes by ISO to 600,000 tonnes by commodity advisory group Czarnikow. In the last three seasons alone 21mt (raw value) were added to global sugar stocks. Huge inventories looming over the market will continue to exert bearish pressure on the market through at least most part of this year. The market may, however, perk up next season when due to “possible changes in production and projected consumption growth, a deficit of about 2mt to 2.5mt comes into view, heralding the beginning of a new deficit phase in the world sugar cycle in 2015/16,” says the ISO.